Our new digital exhibition is up! 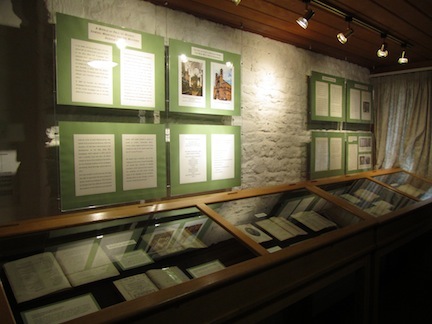 Our new exhibition is up! “The World of Printed Words: Samuel Montagu and the Western Hebrew Library”. The online exhibition shows highlights of the Western Hebrew Library, a collection of over 1300 items dated from 15th to 20th century, deposited on loan with the Leopold Muller Memorial Library in 2013. All welcome to browse and comment! This entry was posted in Uncategorized on 6 April 2014 by zeidlerm.